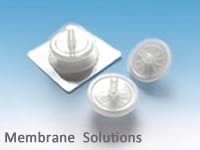 MS®sterile syringe filters are available with Polyethersulphone (PES), Polyesteramide(Nylon), Mixed Cellulose Ester(MCE), Polyfluortetraethylene(PTFE), Polyvinylidene fluoride(PVDF). Each filter is individually packed and sterilized by Gamma Radiation. 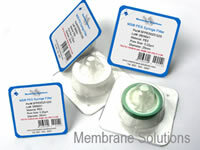 Every Syringe Filter is printed with expiry date for easy QC tracking. Syringe Filters Selection Guide will help you choose the suitable products.